Photo with permission Warren Tribune Chronicle. 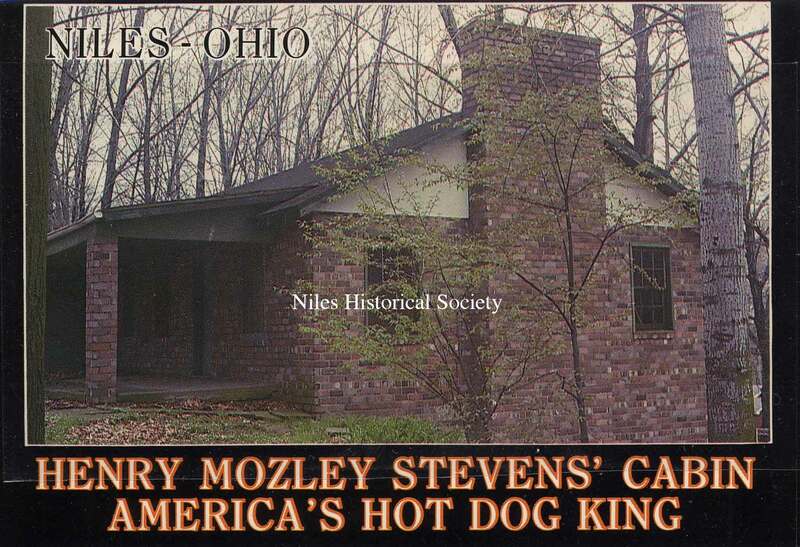 Harry M. Stevens, former Niles resident, who gained international fame as the inventor of the hot dog. Harry M. Stevens, Niles’ most famous and prosperous businessman, turned a hot sausage into a million-dollar fortune and gave the world the hot dog. 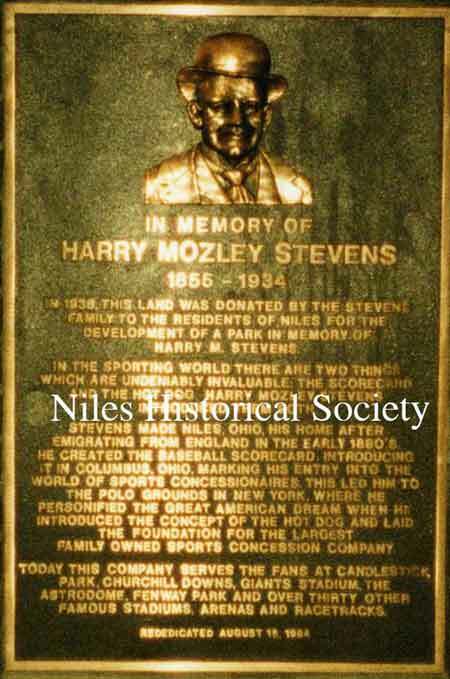 Stevens was known throughout the world as a caterer but it was the first hot dog sold at the New York Polo Grounds in 1900 that sealed his fortune. Sausage had been sold in rolls before that time, but the hot roll and mustard and pickle were Stevens’ own idea. The delicacy became popular immediately and quickly developed into an American tradition. A little less known than the hot dog was Stevens’ business operations with double-jointed peanuts. Stevens was known as “The man who parlayed a bag of peanuts into a million dollars.” The businessman leased many acres of land in Virginia where he grew peanuts and shipped them to New York by the carload. 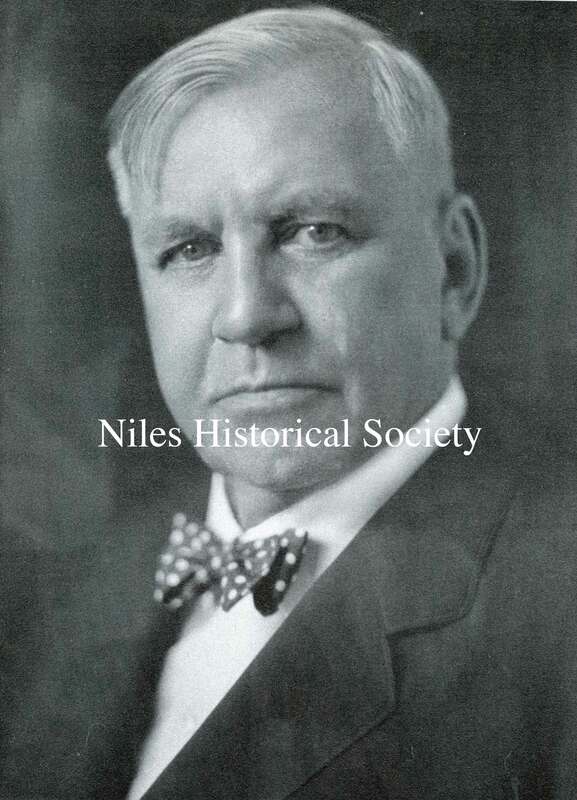 Born in London, July 14, 1855, Stevens came to this country in 1892 and settled in Niles where his wife had friends. After working as an iron puddler and book salesman, he hit upon what turned out to be his life career. The idea came as he sat watching a baseball game. Stevens noticed the scorecards were amateurish and contained no advertising. 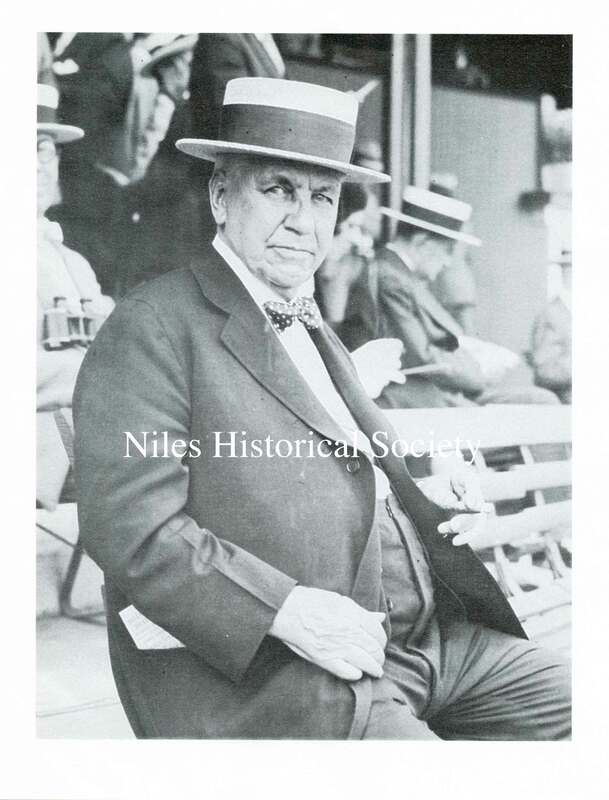 Soon he obtained the concession for selling scorecards at a Columbus ball park and quickly lined up advertising, then expanded into other ball parks and selling refreshments as his next step. 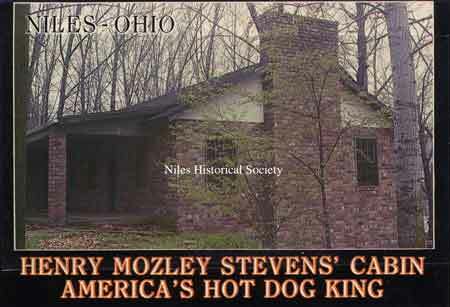 Stevens’ promotions of the hot dog and other ventures brought him an international reputation. 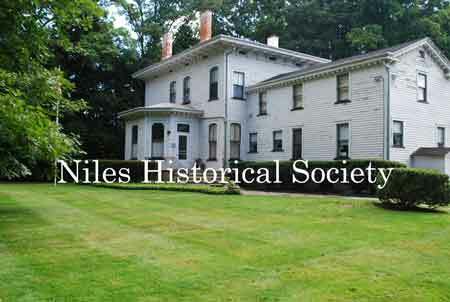 He returned to Niles many times during his lifetime. He died May 3, 1934, and is buried in Niles' Union Cemetery. 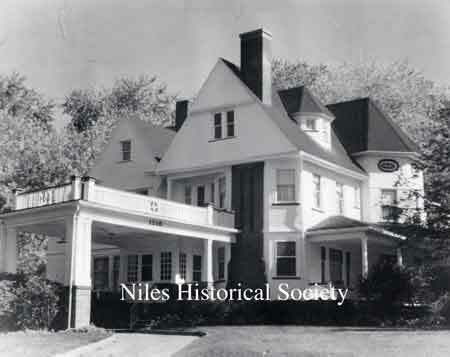 This article appeared in the 1984 Sesquicentennial Edition of the Niles Daily Times and was written by: Gene Antonio. 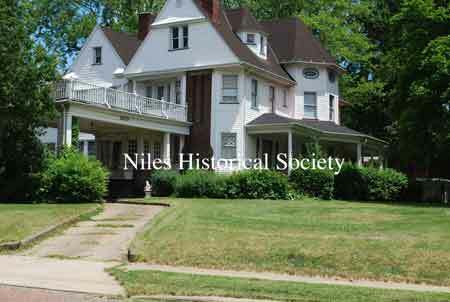 The Harry M. Stevens home, 1210 Robbins Avenue and Crandon, as it appears today. 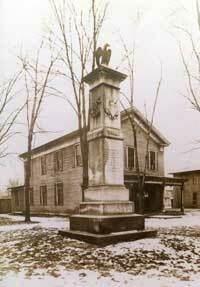 and Crandon, as it appeared in the 1980s. Photo with permission: Warren Tribune Chronicle. 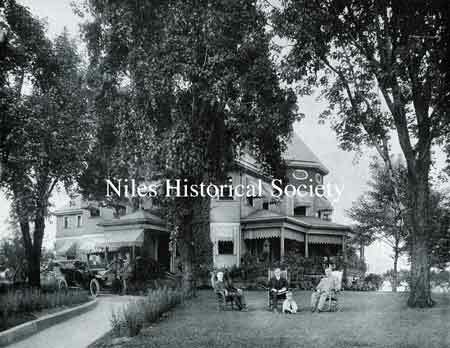 When the Stevens family lived in Niles, the home was a focal point of daily life. This photo shows Harry M. Stevens, right, entertaining friends with a touring car of that era waiting to transport anyone needing a ride. The Stevens Family Official Portrait is the title given to this photo. 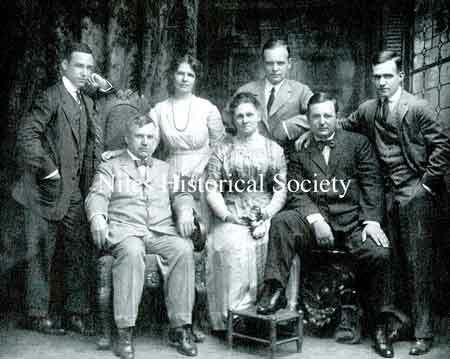 Seated, left to right, were: Harry M. Stevens, Mary Wragg Stevens (Mrs. Harry) and Harold Arthur Stevens. Standing, left to right, were: William Henry Stevens, Sr., Annie Stevens Rose, Frank Mozely Stevens and Joseph Benson Stevens, Sr. In their younger days these members of the Stevens family posed for the photographer. 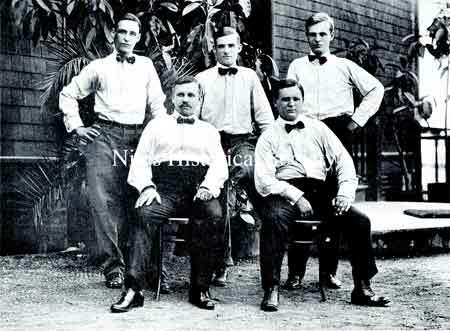 Standing, left to right, were: William H. Stevens Sr., Joseph B. Stevens, Sr. and Frank M. Stevens. Seated, left to right, were: Harry M. Stevens and Harold A. Stevens. 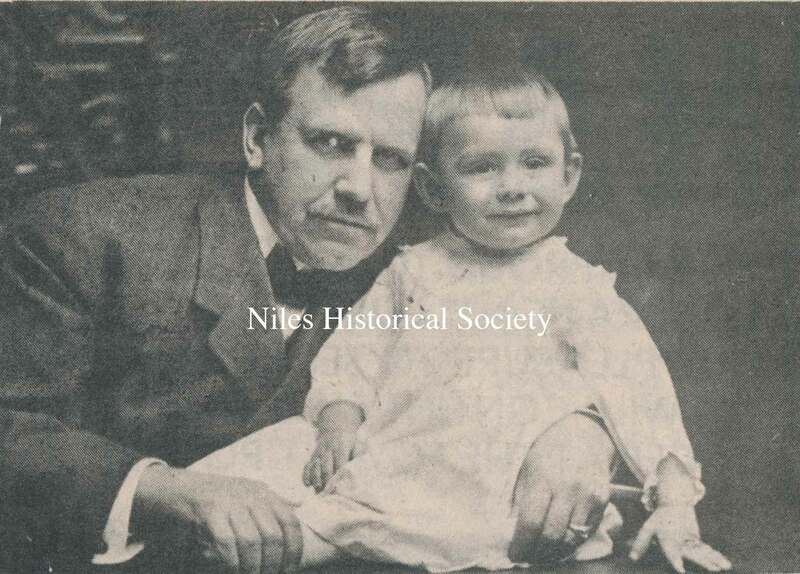 Grandfather Stevens, Harry M. Stevens, founder of the company bearing his name, is pictured here with his grandson, Dr. Harry M. Rose. 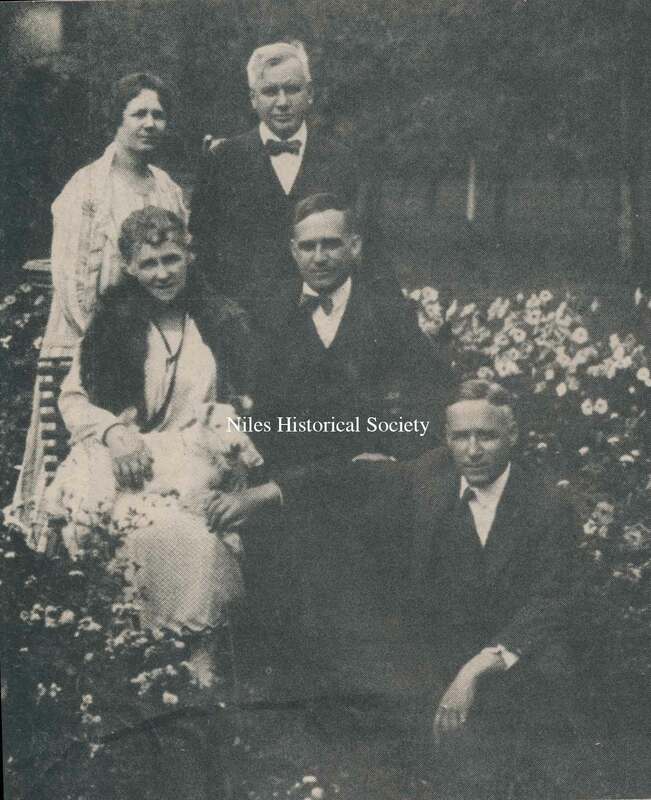 The Stevens family members had their photograph taken in the flower garden of the family home in Niles, Ohio. 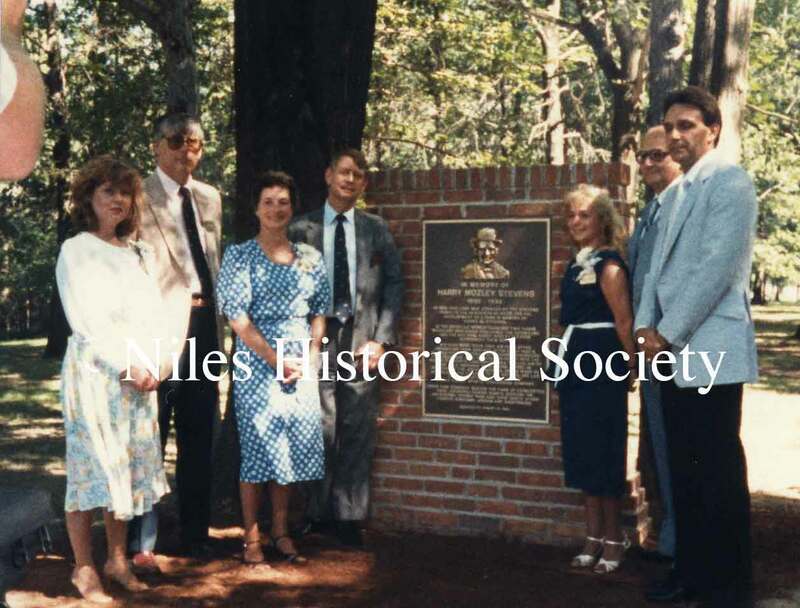 Standing, left, is Annie Stevens Rose, Standing, right, is Harry M. Stevens. 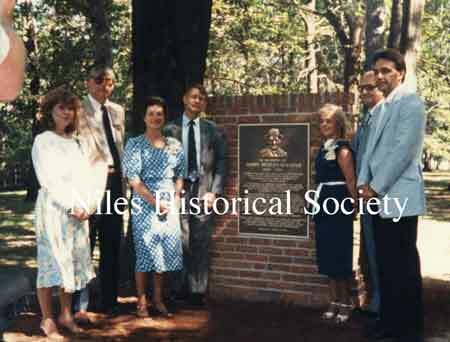 Seated, left to right, are: Mary Stevens (Harry’s wife), Joseph B. Stevens Jr. and William H. Stevens Sr.
During the 1984 Sesquicentennial Celebration, a memorial plaque was dedicated in Stevens Park. The Stevens Youth Cabin was built in 1948 to comemmorate their contributions to the City of Niles, especially the land that was donated for Stevens Park in 1936 by the Steven's Family. Plaque at the entrance to Stevens Park honoring Harry Mozley Stevens. 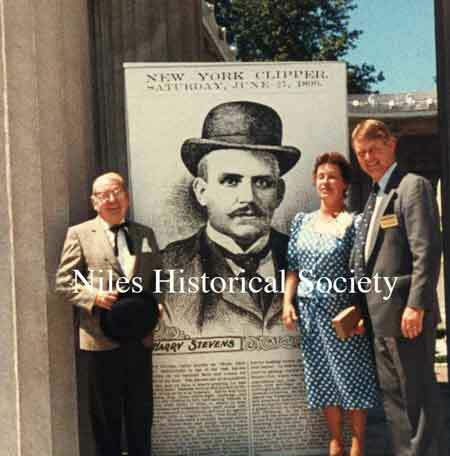 The article from the New York Clipper, which told the story of Harry Stevens, was printed as a poster as part of the 1984 Ohio Sesquicentennial celebration. Mr. Clare Westenfield, who championed the creation of The Niles Historical Society, is on the far left.